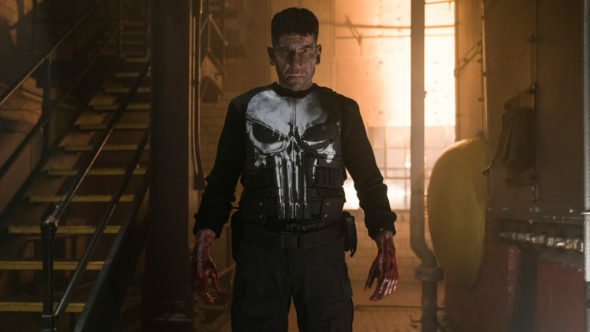 Marvel’s The Punisher will be back. Deadline reports Netflix has renewed the TV series for a second season. A spin-off of Daredevil, the drama follows The Punisher (Jon Bernthal) as he exacts revenge on those who killed his family and “uncovers a conspiracy that runs far deeper than New York’s criminal underworld.” The cast also includes Ebon Moss-Bachrach, Debroah Ann Woll, Ben Barnes, Amber Rose Revah, and Michael Nathanson. Netflix hasn’t specified a premiere date for season two of Marvel’s The Punisher yet, but it’s likely the new season will launch in late 2018. What do you think? Are you a fan of The Punisher? Are you glad it’s been renewed?